CARFAX One-Owner. 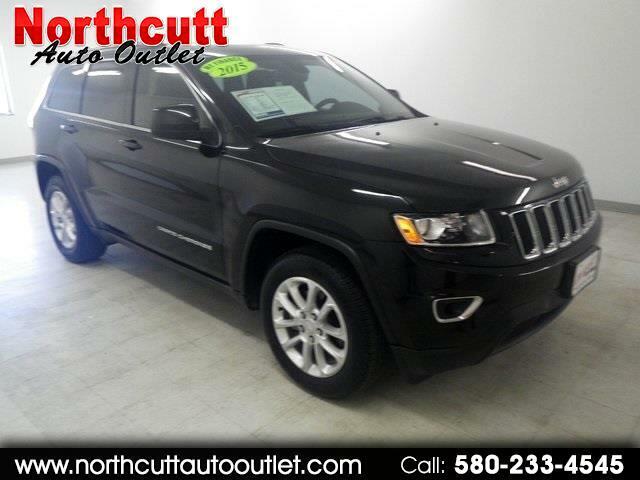 Brilliant Black Crystal Pearlcoat 2015 Jeep Grand Cherokee Laredo RWD 8-Speed Automatic 3.6L V6 24V VVT 18" Wheel & 8.4" Radio Group, 18" x 8.0" Aluminum Wheels, 6 Month Trial (Registration Required), 8.4" Touchscreen Display, Bright Side Roof Rails, For Details Visit DriveUconnect.com, Nav-Capable! See Dealer for Details, ParkSense Rear Park Assist System, ParkView Rear Back-Up Camera, Power 4-Way Driver Lumbar Adjust, Power 8-Way Driver/Manual Passenger Seat, Quick Order Package 23E, Radio: Uconnect 8.4, Rear-View Auto-Dimming Mirror w/Microphone, SIRIUSXM Satellite Radio, Uconnect Access.